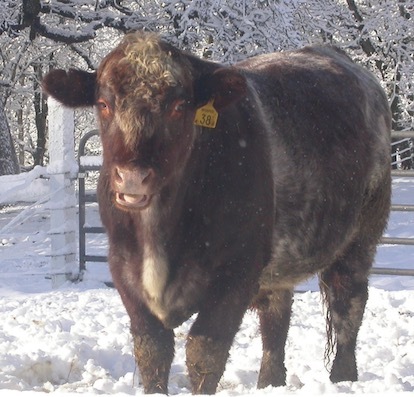 Whisper Polled Shorthorns was started in 2007. 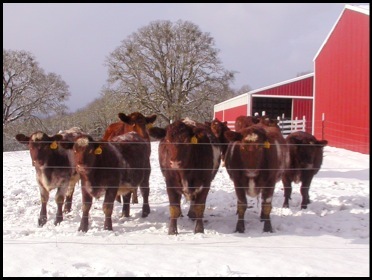 After an exhaustive search, females were selected with a goal of raising easy keeping, fast growing beef, under grass fed conditions--yet they had to have classic Shorthorn style. They were all purchased privately. We then closed the modern shorthorn female side of the herd. All females in our modern shorthorn herd trace to 4 of these original cows. Shown enjoying the snowfall we received this winter. Thunder's dam has raised our fastest growing heifer or bull calf for 6 straight years. She is 10 years old, looks like she is 3, and still has an excellent udder. 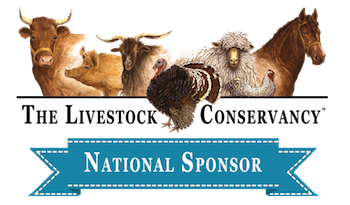 Artificial insemination is utilized on a selected basis to add/strengthen herd goals. Pictured here at 22 mo. Sparky's mother had a bull calf unassisted at 19 months + 2 days of age. The genetics he carries from both his maternal and paternal sides are: early breeding, ability to breed back quickly, and maternal calving ease. His calves are vigorous and fast growing in a grass fed environment.